Last week I had a little get together to drink margaritas and celebrate Mother's Day and invited our neigbors - Michael and Denise and Annelies and James. 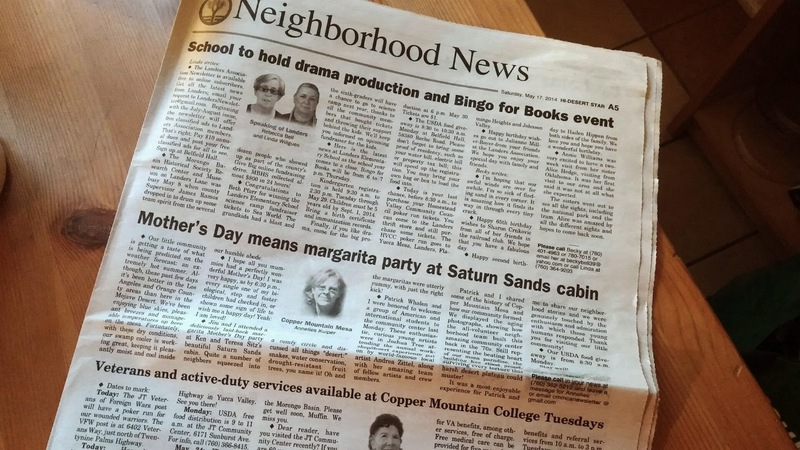 Annelies writes a weekly column in the Hi-Desert Star, and though it's not the Nob Hill Gazette or Palm Beach Galas, I felt we'd made the local social register when I saw this week's headline, "Mother's Day means margarita party at Saturn Sands cabin." I just ADORE Annelise (said in best Lovie Howell Long-Island lockjaw voice), and can't wait to read her book. She's promised me a copy and that's good because I can't afford to buy a copy at Amazon where a new copy of Kenya Cowgirl sells for $2,420.43. Yikes! I adore all our neighbors. How lucky to live some place so remote and yet have such wonderful people nearby. Between margaritas Annelise asked me how I thought I'd handle the summer heat in the desert. I told her I was worried because I don't care for heat - I much prefer the cold. She gave me several tips and promised that the temperature rarely tops 100 degrees. Was she telling the truth slowly? Last weekend the temperature got to 98 degrees outside but stayed steady at 86 degrees inside. We've done almost everything we can to keep the cabin cooler. We insulated, we added a white roof, we installed double-paned windows and insulated doors, room-darkening blinds and we built porches, one to keep the sun off the south facing windows. The only think left is to build a wind/sun break on the west side of the cabin. It was hot, but we kept the fans going, turned off the lights, napped and watched movies, and were fine. I can live with that much heat. It wasn't even bad sitting on the south porch around 5:00 p.m. Though still 98 degrees there was a dry breeze. Tolerable. It's not that I don't want a swamp cooler or air conditioner but I think it would be kind of groovy if we could manage to do without, and honestly, I can't figure out where to put one and hate to cut a hole in our still pristine walls. What do you think, my peoples? 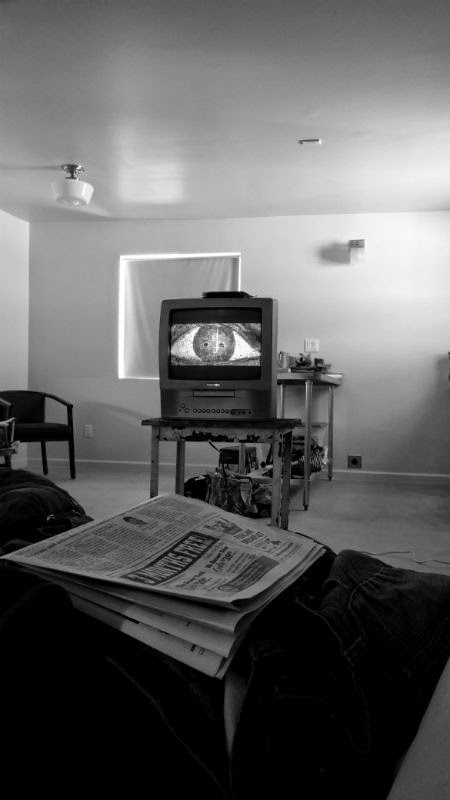 Can we survive a far north Joshua Tree summer without an electrical assist?